Christ's Treasure. 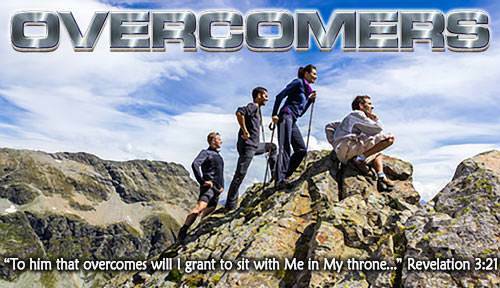 Lesson 12 in "Overcomers"
Right now, the Man Jesus Christ is seated at the right hand of God. All of the Father's delight rests on Him. He is "crowned with glory and honor." 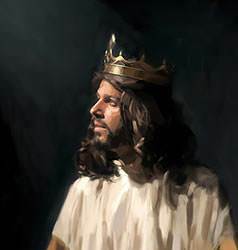 This great and wonderful Person, Jesus Christ, the Son of God, has a treasure here on earth. His heart is set on this treasure. What is it? It is His people, His church! The Bible says, "Christ also loved the church, and gave Himself for it" (Ephesians 5:25). 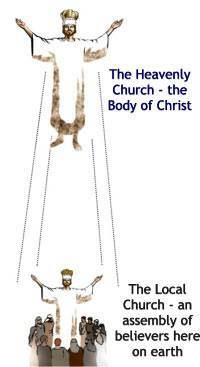 We have already learned about the heavenly Church, the spiritual Body of Christ. All believers are members of the heavenly church. But the Bible also speaks of local churches. In every place where there are those who believe in Christ, these believers are to assemble—meet together—in Christ's name for worship, prayer, fellowship, and the teaching of God's Word. These assemblies of believers here on earth are called "local churches." The heavenly Church, which is composed of all believers from the Day of Pentecost until the end of this age. There is only one heavenly Church, the Body of Christ. The heavenly Church is not visible, but it is very real. Local churches, which are assemblies of believers in different places here on earth. There are many, many local churches and these churches are visible. 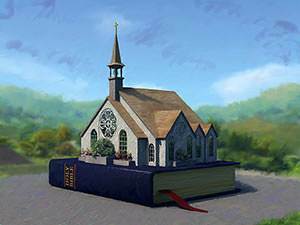 What does the Bible say about the first local churches? On the Day of Pentecost, when Christ first formed His Church, there was only one local church—the church in Jerusalem. Later on, we find that there were local churches in many cities. This came about because of the persecution of the believers in Jerusalem. They were beaten, thrown into jail, and some were killed. Because of this persecution, the believers were scattered into other cities and nations. Wherever the believers went, they told others about Christ. 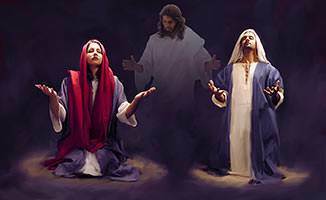 Many people believed on the Lord Jesus and were saved. When a number of people in a place were saved, they became the local church in that city. The Bible speaks of "the church in Antioch," "the church in Corinth," and "the church in Ephesus." As the Head of the Church, the Lord Jesus gave special gifts to believers in each local church. In each church, certain men were recognized as spiritual leaders. These men were called "elders." They were responsible to teach the believers and care for them. So the churches were strengthened and increased in number. Christians meet on the first day of the week because this is the day our Lord Jesus rose from the dead. It is also the day when Christ met with His disciples after His resurrection. The New Testament calls Sunday "the Lord's day." An "ordinance" is a ceremony ordained by Christ which pictures a great spiritual truth. The Lord Jesus gave His church two ordinances: baptism and the Lord's supper. Baptism is a ceremony which pictures our union with Christ in His death, burial, and resurrection. The Lord Jesus has commanded every person who believes on Him to be baptized in His name. Baptism does not save or help save anyone; it is for those who are already saved. By my baptism, I am saying, "I now belong to the Lord Jesus. 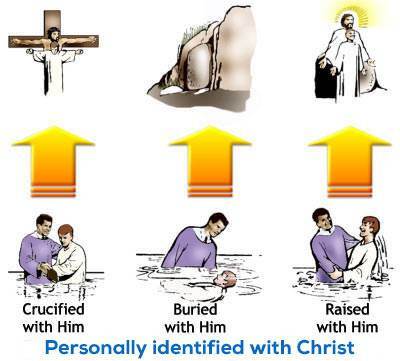 I was crucified with Him; I was buried with Him; and I rose with Him as a new person in Christ." 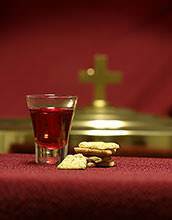 The Lord's supper is likewise an ordinance for believers. It is a time when believers meet together to think about the Lord Jesus and all He means to us. The "cup" which we drink represents His blood which was poured out for us. The "bread" which we eat represents His body which was broken for us. All believers are "priests unto God." In the Old Testament, we find that there were certain men who served God as priests. It was a great honor to be a priest, but only the men of one tribe—the tribe of Levi—could be priests. Ordinary believers could not come directly to God. They had to go through the priests. In my body I have many different members—eyes, ears, nose, mouth, hands, fingers, legs, feet, toes. All are different, but all are needed. The local church is Christ's body in that place. It likewise has many members and they are all different; yet all are needed. Every member should take part in the church. If my eyes are not operating, I cannot see. If my ears are not functioning, I cannot hear. If my legs are not working, I cannot walk. When any member of my body is not working properly, my whole body suffers. 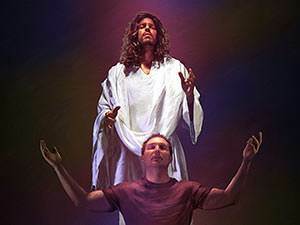 Likewise, Christ's body is handicapped when any member of His body is not working properly. As a believer you have a special ability that is needed by the body of Christ. Each of us should ask, "Lord, where do You want me to serve in Your body, the church?" If we are subject to Christ, we will be subject to God's Word. We will also obey those whom God has placed in positions of leadership in the church. Christ wants a body—not a lot of single believers who are doing their own thing. The Bible says that we are "one body in Christ." I must work together with other members of Christ's body. WARNING: Beware of false churches! Not every church that uses Christ's name is a true church of His. Many ministers who claim to be servants of Christ are false teachers and they are teaching a false gospel. Many ministers do not believe that the Bible is the Word of God. These men do not preach the true gospel. False teachers deny the virgin birth of Christ, they make fun of the miracles, they deny that Jesus Christ is God, and they deny that all men are lost sinners and need to be saved through faith in Christ and His blood which was shed for our sins. The Bible says, "From such turn away" (2 Timothy 3:5). What are the marks of a true church? The Bible is believed and taught as God's holy, inspired Word. Jesus Christ is the Way—the only Way—to God. Unsaved people are taught that they are lost sinners and must be born again. The true gospel is preached: that Jesus Christ died for our sins and rose again and that we are saved by faith in Him. Jesus Christ is supreme; a church where He is loved and honored. The people love the Lord Jesus and love one another. In this world where so many hate God and reject His Son; in this world with all its sin and evil; there is something beautiful to Christ. What is it? It is the local, Bible-believing, Christ-honoring church. It is His special treasure. It is the only place where Christ is loved and honored. When the church meets together, every believer is responsible to attend and take part. This includes children, young people, and adults. 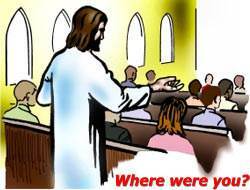 Every member of the body of Christ must answer to the Lord Jesus for his or her failure to attend the services of the local church. The Bible says that in the last days, men shall be "lovers of pleasure more than lovers of God." Each of us should ask ourselves, "Am I a lover of God or a lover of pleasure?" When the Lord comes, will He find me seeking my own pleasure or doing my part in a church where Christ is loved and honored? Christ will hold us responsible for the condition in which He finds us. The church is Christ's "treasure"—His main interest now. If I truly love the Lord, I will find a church where Christ is honored, and I will faithfully attend the services. I will seek to find the special work the Lord has for me to do in His church. "Lord Jesus, thank You for all that You have done for me. Thank You for teaching me about the heavenly Church, Your spiritual Body, and about the local church. "I want to be with those who love and honor You. I want to be in a church where Your people meet, where they love You and love one another."